Hiab, part of Cargotec, is organising an open innovation event in its test and innovation center in Hudiksvall, Sweden on 5-7 September 2017. The Hiab hackathon continues the series of successful CargoHack hackathons, organised by Cargotec companies to explore new solutions for customers. The event will be organised in collaboration with Industryhack, a pioneer of industrial innovation challenges. 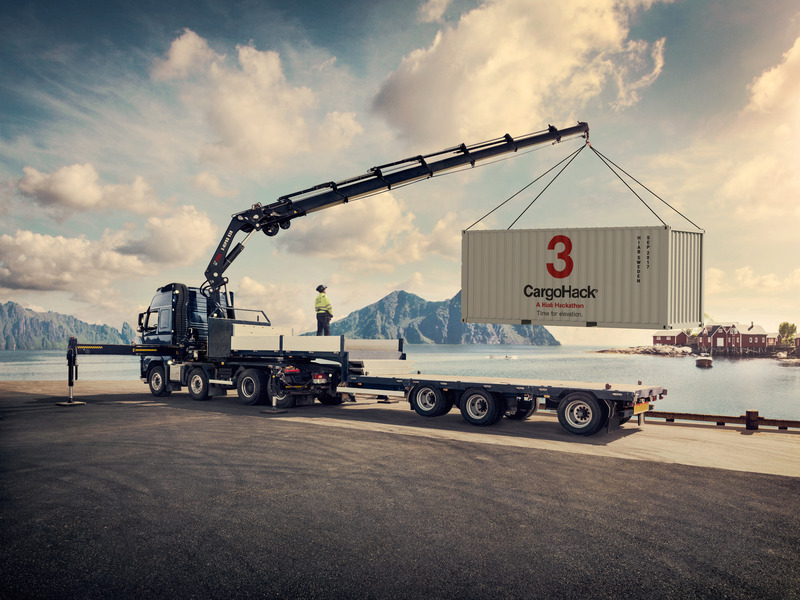 The goal of the Hiab's CargoHack3 - "Time for Elevation" - is to explore new opportunities in digitalisation and connectivity to ensure easier and safer intelligent load handling. "Open innovation is key for discovering new ideas and increasing the speed for developing new offerings. In this context we are organising a hackathon as a step to collaborate with enthusiastic entrepreneurs and digital minds to shape the future of our industry. As the end result of CargoHack3, we want to see innovations that simplify the user experience. For us in Hiab, making the customers' life easier is most important", says Jan-Erik Lindfors, Vice President, New Business Solutions, Hiab. "In January, we organised an internal hackathon where 80 Hiab employees gathered together to innovate on augmented reality, safety & productivity, robotisation, and new business modelling. From that event we have now seven patents pending", continues Stefan Onkenhout, Director, Innovation and Business Development, Hiab. Jukka Lindström, Vice President, Digital Transformation, Cargotec says: "Our target in Cargotec is to become a world leader in intelligent cargo handling. The results of the two CargoHack hackathons organised last year were very encouraging and we are currently further developing several concepts from the events. I'm confident that Hiab's CargoHack3 will bring great ideas of how to take bold new steps in digitalising load handling." Hiab invites both external developers as well as employees to participate in CargoHack3. The call for applications starts today, 17 May and will end on Wednesday 14 June. Teams may submit their applications for attending the Hiab's CargoHack3 event online at http://www.cargohack.com/. Hiab is the world's leading provider of on-road load-handling equipment, intelligent services, and digitally connected solutions. As the industry pioneer, our more than 3,000 employees globally focus on our commitment to increase efficiency in our customer's businesses and to shape the future of intelligent load-handling logistics.